(CNN) -- In-debt European football clubs may be forced to sell players or face being banned from the Champions League or Europa League competitions, under new rules being implemented by the sport's governing body on the continent, UEFA. The new "Financial Fair Play" regulations were unveiled at a meeting of the UEFA Executive Committee in Geneva on Thursday, in a move that hopes to prevent excessive spending by European clubs. The rules -- which also limit the amount of money which can be invested into football clubs by its owners -- will come into full effect for the 2014/15 season, giving teams over three years to ensure they are financially stable. "Our intention is not to punish the clubs but to protect them. 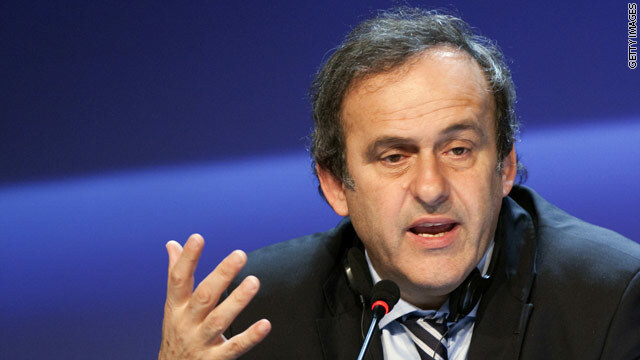 The philosophy is that you cannot spend more money than you generate," UEFA president Michel Platini told the organization's official Web site. "This is the start of an important journey for European football's club finances as we begin to put stability and economic common sense back into football." The policy was also welcomed by chairman of the European Club Association (ECA), Karl-Heinz Rummenigge. "This really is a huge achievement," he told the official UEFA Web site. "We have managed to set measures that will shape the future of European club football into a more responsible business and ultimately a more sustainable one." Amongst other decisions made at the meeting, UEFA confirmed that two additional assistant referees will be used in Champions League and Europa League matches next season. This follows the announcement from the International Football Association Board (IFAB) on 18 May which stated that the experiment of using extra match officials as a substitute for goal-line technology would be extended worldwide over the next two years. The full UEFA Club Licensing and Financial Fair Play Regulations will be published on the official UEFA Web site in June.